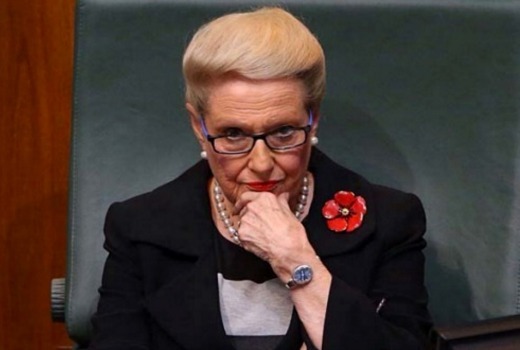 Former Liberal MP Bronwyn Bishop is the latest recruit to SKY News. The former member for Mackellar and Speaker will debut as a commentator on Speers Tonight this Thursday. The mother of TEN entertainment reporter Angela Bishop, her parliamentary career ended following the ‘Chopper-gate’ scandal. What if she’s the new Entertainment reporter for SKY News? That was quick. Looks like she’s been helicoptered into that role. So, when is the rebrand to Fox News Australia going to be announced? I don’t necessarily agree with all the sentiment that Sky news is predominately right wing. David Speers is one of the most even handed and skillful journalists and presenters on the box; on any channel. Peta Credlin’s contributions have been very insightful; and obviously right wing. Kristina Keneally balances her out. Paul Murray is unapologetically right wing but he still installs lefty folk like Dee Madigan and Darrin Barnett, Nick Reese. For me I use both ABC and Sky to get differing voices. But Bronnie!!! Good Lord why?. I’ll better hide all my shoes or they will be hurled straight to the screen! Sky News is now officially unwatchable. How much more Liberal bias can Sky News get? They’re most prominent hosts may lean right (Murray, Bolt, etc) however they have a number of left leaning hosts (Keneally, Richo, etc) too. Personally, I think they’re journos are pretty straight down the line with reporting which is where it counts more. Your use of ‘They’re’ seems typical of Sky News viewer. Another Lib I can live with, but Bronnie? With her history of sense of entitlement, having to be dragged kicking and screaming to resign as Speaker, her actions in the helicopter saga were pretty much the final straw in bringing Tony Abbott down. I don’t think that her values and her opinions will be relevant or aligned with the majority of voters. Another pollie that outlived her usefulness to the electorate that she supposedly represented. Geez… how good people like Laura Jayes et al continue to work at the Liberal Party sausage factory confounds me.